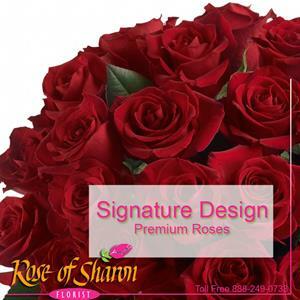 Our Signature Design Rose Arrangement will be designed using the freshest, most beautiful roses available. If you want to break away from the typical dozen rose arrangement and experience fresh design, this is for you. We promise a unique arrangement of roses in a modern design and each arrangement will include complimentary flowers to enhance the value of your well chosen gift. Typically in this design we like to combine roses and orchids or birds of paradise or perhaps lilies. Exceptional value guaranteed.